The Maritim hotel in Cologne has received violent threats from extremists who say they will burn the hotel down if the ant-mass migration Alternative for Germany (AfD) party are allowed to host an event there. The anti-mass migration AfD are finding it harder than ever to book party meetings due to an increase in the number of threats, not only against them but against the venues that host them. According to reports the Maritim hotel in Cologne, where the AfD plan a conference in April, has received threats of arson and several hotel employees have received death threats Die Welt reports. The contract for the meeting had been signed last summer, and now due to the pressure from extremists and citing the controversial comments made earlier this year by Thuringia AfD member Björn Höcke, Hotel Director Hartmut Korthäuer said it would be unlikely the hotel would offer the party the venue again. The local chapter of the AfD in the city of Münster also faced thousands of protesters Friday evening during their New Year’s celebration meeting. The celebration, which saw the attendance of party leader Frauke Petry, was held in the city hall where the nation-state creating Treaty of Westphalia was signed. Police say around 8,000 protesters showed up while several shops in the city centre turned off their lights to protest. In Essen, the party hopes to hold a meeting at the Trade Fair Congress Centre to determine its list of candidates for the upcoming federal election in September. Managing Director Oliver Kurth said there was no problem with hosting the AfD because they are democratically legitimate. Extremist threats and attacks on the AfD have been growing with their rapid rise in the polls. The party recorded over 800 attacks on party members and supporters last year by left-wing extremists. 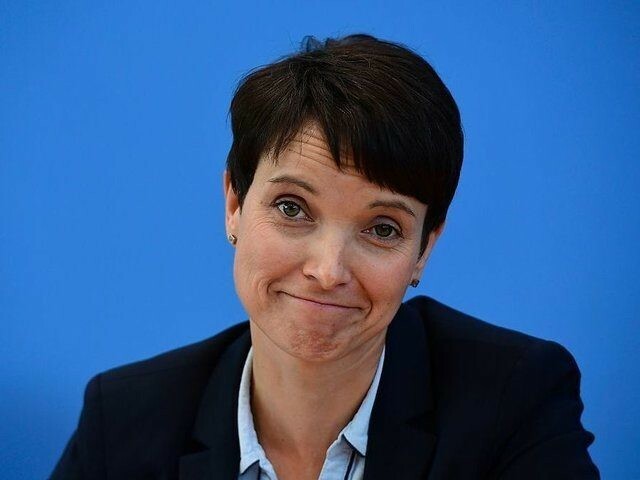 Some politicians have been physically attacked while others like Frauke Petry, have had their cars set on fire by extremists.